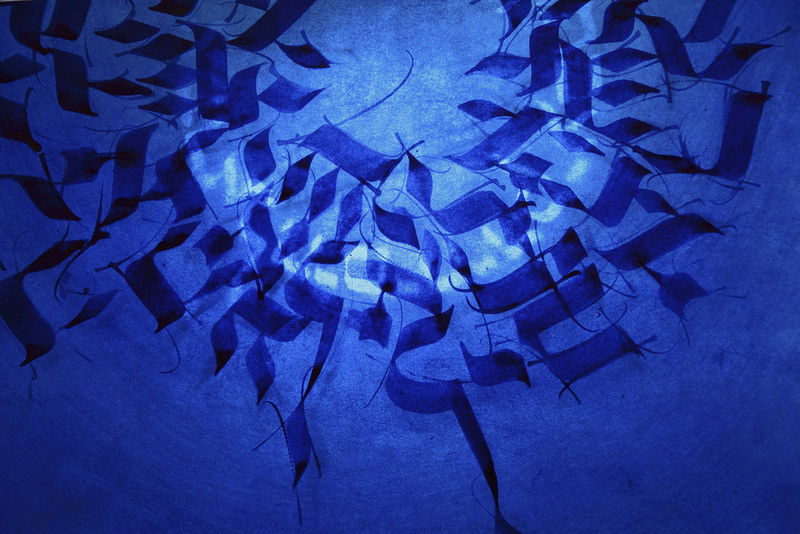 Our free-of-charge course – Hebrew Bytes for Beginners – has begun! 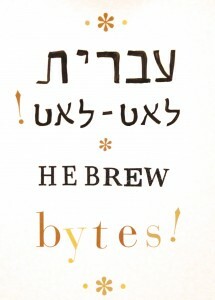 Shalom and welcome to HEBREW BYTES – small tasty bites of Hebrew. The Hebrew name, Yvrit Le’at – Le’at, means ‘Hebrew Slowly Slowly!’ The course of 24 lessons is intended to be an enjoyable familiarization with the language; more like getting to know a friend than mastering a subject. * Each ‘byte’ will be approximately 20-30 minutes in length. We will be proceeding le’at le’at – slowly slowly! * To gain as much as possible from our time together please try and familiarize yourself with the Hebrew alphabet – the AlephBet, as well as the Vowel Sounds, beforehand. * If you are aiming to keep a Hebrew file/notebook, which is recommended, and would like to use the cover picture, click on it here. * If Hebrew doesn’t sink in immediately, please be encouraged to persevere. It will happen with practice. Realize that perhaps a different part of your brain is being stretched! * Mostly, relax and enjoy this wonderful language! Every letter and word is a blessing. There are two basic ways of looking at things. Seeing the bigger picture – the wide, sweeping vista, and seeing the details – the minutest aspects that together comprise the whole. Both views, although different, are necessary and offer both meaning and their own unique beauty. Medical science has categorized the ability to see the detail as ‘left-brain’ activity, which, characteristically, is attributed to the masculine mind. It focusses in and sorts and analyzes things; like Science itself, which takes things apart to see how they work (something boys generally love to do!). Spirituality, on the other hand, is predominantly a right-brain activity and is characteristically feminine. It sees the whole, the beauty of the vista, the inter-relatedness of things and puts things together to discover what they mean. It reaches out and forms relationships with people (think little girl tea parties!). Both the left and right hemispheres of the brain are good and, in order to to be as whole and ‘full-thinking’ a person as possible, we need to cultivate both aspects and balance the two. We can accomplish this by appreciating and learning from one another. This may well be the reason why God created Adam and Eve, man and woman, male and female – so that working together, in love and harmony, they could manage the Garden and tend to the earth and all that is in it as one, in the most ‘whole’ way possible. What does this have to do with Hebrew? As with all God-centered things – everything! To learn, to appreciate and to understand Hebrew requires using both sides of one’s brain. It is very much a feminine language in that, like a Torah scroll, it offers the wide sweeping vista of meaning and is fully based on relationship at every level. We find the connections between letters, words, and concepts and see how they fit together to make a whole. On the other hand, there is perfect masculine balance as every detail is important; every word can be dissected, taken apart; every jot and tittle, and even the spaces around the letters and in the text, has meaning. Hebrew is not a language like any other language. It is strong and masculine and also soft and feminine. It is immensely practical and deeply spiritual. It’s God’s chosen, ancient language, which has been restored as a living, vibrant and dynamic language; one which we have the great favor and blessing to be able to learn, to whatever degree possible, and to savor and delight in. Without full and total immersion one cannot hope to become fluent or fully conversant in the language; however, rest assured that even to know the Aleph Bet and to recognize letters and words, is richly rewarding. 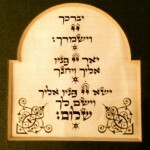 This entry was posted in Hebrew Bytes by Keren Hannah. Bookmark the permalink. Hi Keren. I am so looking forward to learning some Hebrew! Thank you so much for all the things you post, I have learnt a tremendous amount and continue to do so. Thank you again. I eagerly await each new post. Shalom, Bonny. Hi Bonny. Thank you for your encouraging words. So happy you can join in… enjoy! Hi Keren, have always had a desire to learn the Hebrew language. I am looking forward to learning what I can here.